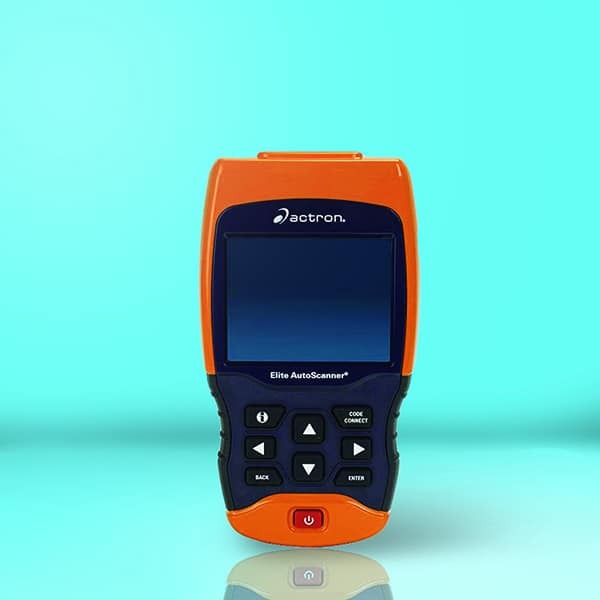 The Actron CP9690 is a scanner that is able to run a scan on a wide variety of vehicles in order to obtain information with regard to the overall health of the vehicle. This includes aspects like viewing transmission and motor codes as well as resetting the battery and oil lights. It's definitely a device that can save you time and money! This scanner is designed to be held in the palm of your hand. The top half of the device has been filled by the screen which will display your data in detailed color while the bottom half contains all of the buttons needed for navigation. This scanner looks sturdy and strong, and it is. The hard plastic casing will absorb any impacts while the soft rubber grip on the sides will stop the scanner from slipping from your grasp. The screen is clear when data is being displayed, and there is enough space to present a lot of detail. 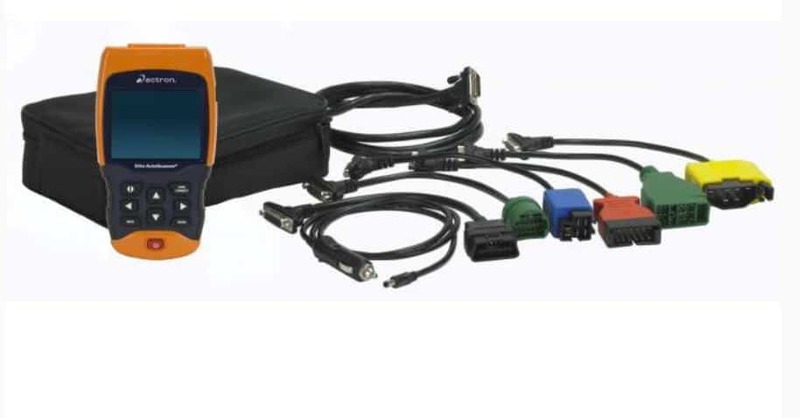 The scanner comes with all the cables needed to connect this device to any vehicle with OBD2 and OBD1 compatibility. This means that you can connect this device to cars made as far back as 1984. The cable also provides the power for the unit when it is connected to the engine system. One of the greatest pieces of functionality of this device is the ability to connect to OBD2 vehicles and OBD1 vehicles. It is hard to find an OBD1 scanner, but this one gives you the ability to connect to older vehicles where other scanners do not. This allows you to connect with most cars dating back to 1989 and some dating back to 1984. The device is also compliant with CAN vehicles too. You can use this scanner to reset the oil light for most vehicles, reset the battery light, read SRS and ABS codes, read and display freeze frame data, read and display engine and transmission codes, read and display I/M monitors, read and display pending codes, give graphical information, monitor systems, and more. The information presented by this device, and all of the other text, is available in English, Spanish, and French. The manual is also available in all three languages. ​Real-time data logging gives you data as the vehicle is being scanned. You can also save and scanned data and send it to your computer for later reading and analyzing. One of the greatest benefits of this device is the use of CodeConnect. CodeConnect is a database of over 26 million fixes for diagnostic trouble codes. This is an amazing benefit for those who want to fix a vehicle by themselves. Once the scanner has run diagnostics, and the codes are displayed, the device will give you a list of common fixes from a database of 26 million vehicle-specific fixes. 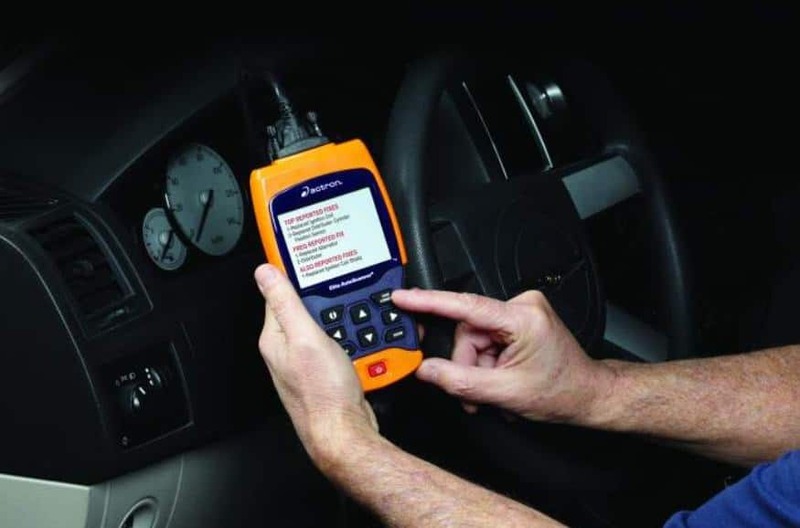 When it comes to fixing a vehicle, this scanner will not only give you the best and most common fixes to a problem, but it will also give you a list of causes along with the location of the problem and the problem parts. When you know what the problem is and the location of the problem parts, fixing your vehicle will be a breeze. ​Updates are easy with this scanner. There is a USB port which can be used to connect the scanner to your computer. Once you have interfaced with your computer, it is as simple as downloading the update and updating the device. There are times when this device will not be able to read and clear SRS and ABS codes. Actron does provide a list of vehicles which are compatible for these code reads so, if this is going to be an issue for you, you should make sure that your vehicle is compatible before buying this device. When it comes to customer service, Actron does not have a shining reputation. If you do not need any additional help with your device, then you will be fine, but you could run into trouble if you need additional support. The main draw for they tool is the addition of CodeConnect. If you are an amateur car enthusiast, then you are going to benefit from that extra help when it comes time to fix your vehicle. You are going to save a lot of time and money. CodeConnect is also extremely beneficial for professionals. Anything which can speed up the diagnosis and repair processes is going to streamline your business and help you to get customers’ cars back to them quicker.